Niles, IL. – PolyScience offers a selection of recirculating chillers that precisely control water temperature during the hydrocooling of heat-sensitive fruits and vegetables prior to shipping, storage, or processing. Highly reliable and cost-effective, PolyScience 6000 Series and DuraChill® Chillers help maximize product yield by ensuring that the field heat from freshly harvested produce is rapidly removed, thus retarding deterioration and maintaining preharvest freshness and flavor. PolyScience 6000 Series Chillers offer an easy-to-operate solution for smaller hydrocoolers and maintain cooling water temperature with ±0.1°C (0.2°F) stability. These compact units deliver cooling capacities as high as 1100 watts at 0°C (32°F) and feature large, easy-to-read temperature and pressure/flow rate displays. 6000 Series Chillers are available with compressor sizes ranging from ¼ to 1 HP and a choice of turbine, centrifugal, or positive displacement pump. 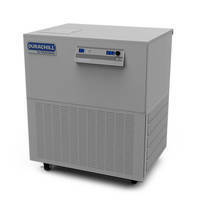 For hydrocooling systems requiring greater cooling capacity, PolyScience DuraChill® Chillers are recommended. 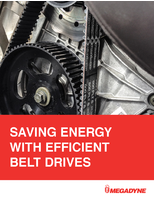 They maintain temperature with up to ±0.5°C (0.9°F) stability. 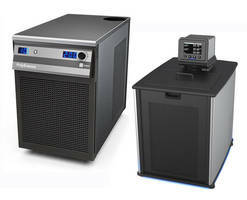 These chillers also feature large, dual displays that present temperature and pressure or flow rate simultaneously. DuraChill® Chillers are available with cooling capacities as high as 20,062 watts at 0°C (32°F), compressor sizes from 1.5 to 10 HP, and a variety of pump types and options. 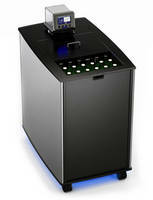 1-800-229-7569, outside the US call 847-647-0611, email sales@polyscience.com, or fax 847-647-1155.